Author : Paul F. Boller Jr. I finished this book today--I read it to bone up on presidential inaugurations for a Norway presentation. It was anecdotal and organized strangely (chapters on the journey to the inauguration, the balls, etc.). It will help me create good presentations, I think, but it's not a book I'd recommend. It just wasn't scholarly enough . . . or even terribly insightful. I don't think I will be finishing this book. It hops around too much. Bummed. I wanted to like this book. It was quite dry and it does not hold my attention. 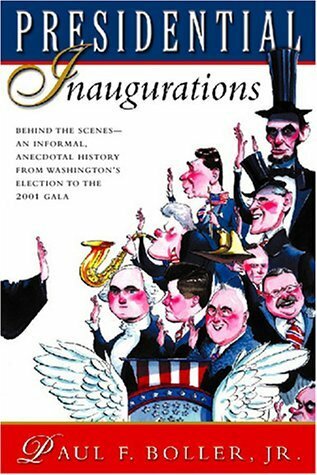 Books Related with Presidential Inaugurations by Paul F. Boller Jr.